New shoes and flats @ Shoetopia 2017 Fall! Here are my new release for the event. Triple bow strap pumps. Include 3 colors in one pair. 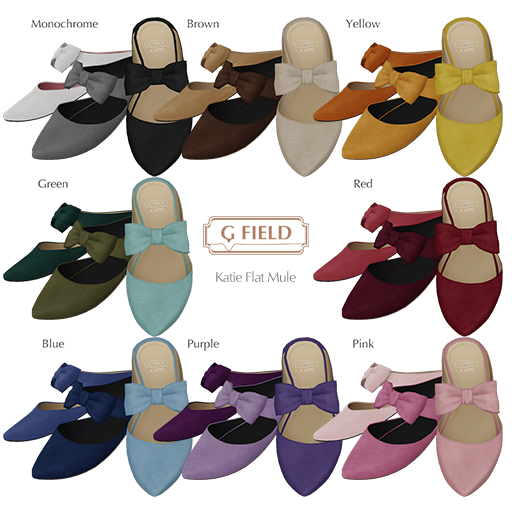 Flat mule with bow. Include 3 colors in one pair. For Slink/Maitreya Mid feet, and default avatar feet. These 2 new releases are exclusive sales at the event. These will be sale at main store after the event. We are waiting your visit :) thank you!